You are here: Home / NYCFC / Match Preview: NYCFC vs San Jose Earthquakes; Vieira’s men looking to bounce back following disappointing stalemate. Match Preview: NYCFC vs San Jose Earthquakes; Vieira’s men looking to bounce back following disappointing stalemate. New York City FC will be keen to make amends after a disappointing draw against Montreal Impact during their last league outing. As for the San Jose Earthquakes, defeat in their previous fixture means that they will be looking to get back to winning ways – starting with victory over Vieira’s men. Prior to the international break, NYCFC hosted the Impact at home and were extremely unlucky not to come away with all three points. Glaring opportunities went amiss from the likes of Jack Harrison and Alexander Ring, as well as an abundance of other chances that didn’t find themselves into the Impact’s net. 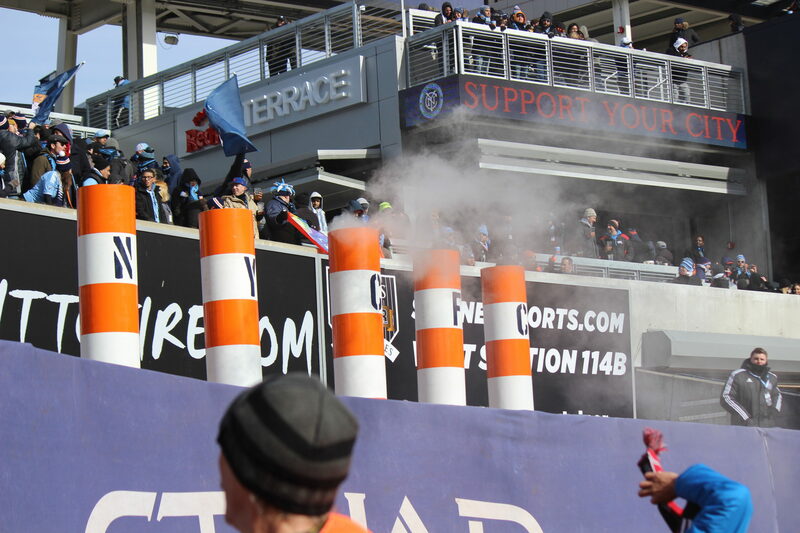 Fortunately for NYCFC and Vieira, Rodney Wallace was able to put away one of their many chances – only to be cancelled out by Dominic Oduro – earning them a point. 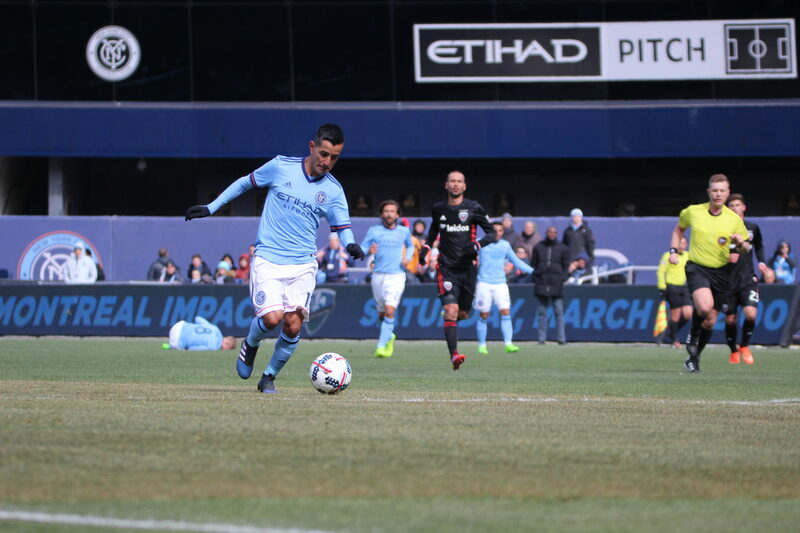 Can Maxi Moralez aid NYCFC and their finishing woes? In San Jose’s last game, they were defeated 2-1 away to Sporting Kansas City. One goal from Benny Feilhaber gave SKC the lead. Their lead was then doubled in the 89th minute following an own-goal from San Jose’s goalkeeper David Bingham, as they were chasing the lead. San Jose were able to net in the 91st minute, however it was only to be a consolation goal. Unfortunately for San Jose, the stats and facts are not on their side for the upcoming fixture. The ‘Quakes are yet to beat NYCFC since the latter joined MLS, and on top of that, they have failed to win in 12 of their last 20 away matches – picking up just one win in those 20 games. During their last 10 regular season games at Yankee Stadium, NYCFC have won 9 and lost just 1 game (a 2-3 defeat to Real Salt Lake), a record that NYCFC fans will be hoping to see extended to 11 games without defeat this weekend. For NYCFC to elevate to the next level and reach their ultimate goal – MLS Cup success – a home record as such is a must. Once teams around the league become aware of City’s impressive home form, it can give Vieira and the team a psychological edge over their opponents, as well as a confidence in knowing they are capable of beating anybody at home. Without a doubt, City’s key player for victory this week will be David Villa. Following their mishaps in front of goal last week, all eyes will be on Villa to make amends and get the goals flowing. He hasn’t had a prolific start to the season, currently sitting at two goals so far on the year – tied for the team lead with Rodney Wallace. Villa will certainly be looking to add to his goal tally, following his MVP year. Villa will be looking to add to his two goals so far this season. For San Jose’s key player, I was stuck between the old-timer, Chris Wondolowski and Anibal Godoy. Make no mistake, either of these players are fully capable of grabbing the game by the scruff of its neck and leading SJ to victory. Ultimately, I picked Godoy. While he logged significant minutes for Panama earlier this week against the United States, Godoy has been too influential for the Quakes to miss out on minutes. The centre-midfielder is also on two goals for the season, but unlike Wondo, he offers more than an attacking presence. He’s currently tied for second with all out-field players in the MLS for most ball recoveries (37), and has had an excellent start to this MLS season. The only concern for NYCFC is that of Mikey Lopez who has trained this week but is still a doubt for the game, down to lacking match fitness. San Jose are missing three players from their squad; Quincy Amarikwa, Marvell Wynne and Marc Pelosi. All are missing out through injury, and are not expected back in the squad anytime soon. Johnson; White, Chanot, Callens, Matarrita; Ring, Pirlo, Moralez; Harrison, Villa(c), Wallace. Bingham; Lima, Bernardez, Jungwirth, Francis; Hyka, Alashe, Godoy, Dawkins; Urena, Wondolowski(c).